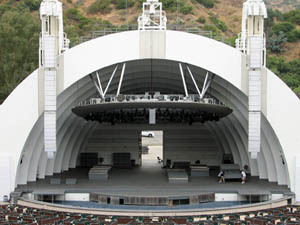 The Hollywood Bowl, summer home to the Los Angeles Philharmonic since 1922, recently wrapped up a complete rebuild of its band shell that considerably improves the acoustics onstage while preserving its distinctive concentric ringed motif. 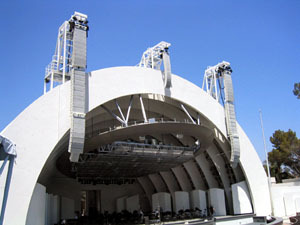 But performers at the Bowl aren’t the only ones to benefit from better sound this season thanks to the concurrent addition of a new concert reinforcement system largely comprised of 87 L-ACOUSTICS loudspeakers driven by 40 LA Series amplifiers. Twin arrays each consisting of ten V-DOSC® cabinets, eight SB218 subwoofers, seven more V-DOSC, and a tail of six dV-DOSC® flank the left and right sides of the new shell with an additional center hang of 17 dV-DOSC flown from the apex of the structure. 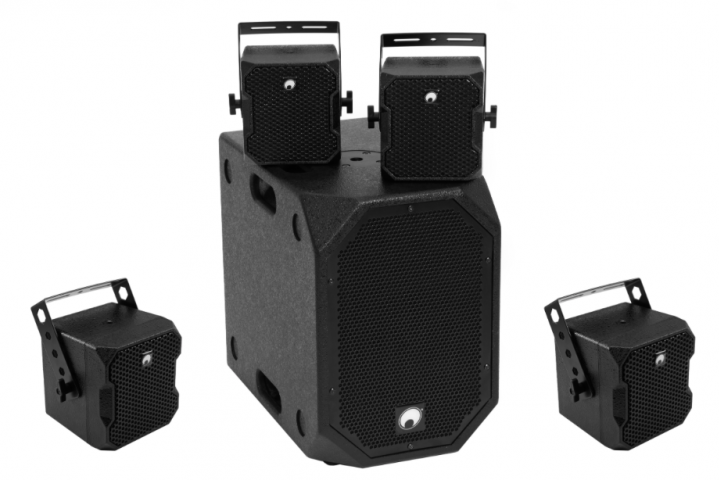 Furthermore, three 112XT enclosures are hung from the catwalk halo to provide nearfield coverage for the seating areas directly in front of the stage, while five compact MTD108a cabinets are employed as stage lip speakers. All systems are powered by L-ACOUSTICS LA 48a amplifiers. Fred Vogler is the Sound Designer for the L.A. Philharmonic who, along with Hollywood Bowl Audio/Video Department Head Michael Cooper and Assistant Head Kevin Wapner, runs the system on a nearly nightly basis from June through September. 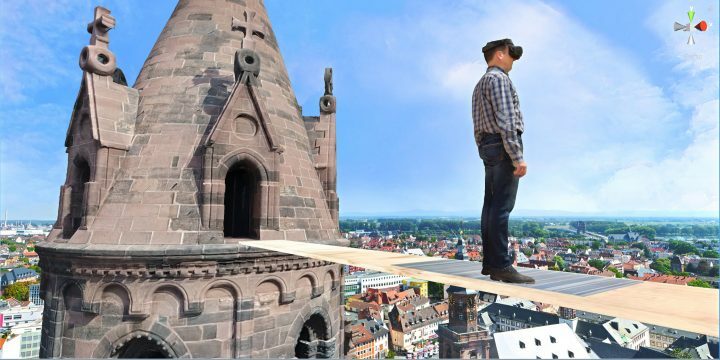 He recalls how an all-L-ACOUSTICS system was chosen for the venue: “Last season, prior to our renovation, many of the larger tours coming through, such as Radiohead and Björk, were carrying V-DOSC rigs and I liked what we heard. However, seeing that systems for rock shows are tuned so much differently than classical systems, we chose to perform our own listening tests with a number of different speaker brands down at Coors Amphitheater in Chula Vista. We invited Bruce Jackson and Patrick Baltzell to join us, and between the five of us, it was a consensus that the L-ACOUSTICS system was, for our needs, simply the best choice. 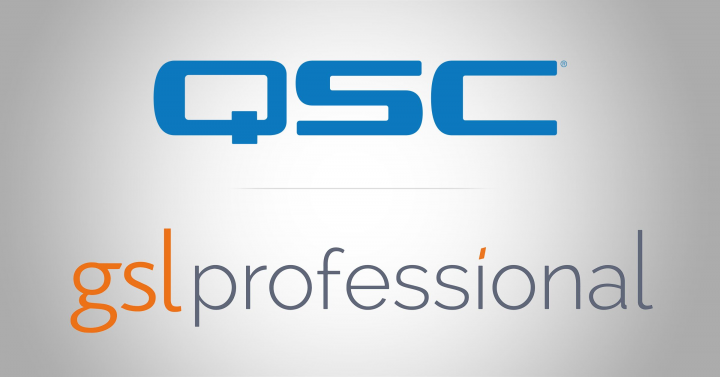 “Now that our new system is in and properly tuned, I can say that V-DOSC and dV-DOSC are a quantum leap over what we had been operating with in the past. The coherency of wavefront and omission of delay speakers makes our system just so easy to operate; it’s certainly the biggest hi-fi I’ve ever been around. And the consistency of sound throughout the entire venue is so nice, even at the back row of the bleachers, which is 450 feet out and 90 feet up from the stage. We have truly entered a new realm of stereo sound here at the Hollywood Bowl. The venue’s production team also appreciatively credits Cleveland’s Eighth Day Sound Systems, Inc. as the primary V-DOSC provider, with additional local support coming from US Audio & Lighting of North Hollywood. Considered the world’s largest natural amphitheater, the nearly-18,000-seat Hollywood Bowl each year features an extremely diverse roster of musical performances. Aside from the L.A. Philharmonic’s many classical and pops dates that pepper the schedule, the venue has this season either hosted or will host the likes of Brian Wilson, Simon & Garfunkel, Rod Stewart & Ronnie Wood, Eric Clapton, Rush, Sting, B.B. King, Norah Jones, Harry Connick, Jr., Van Morrison, Tracy Chapman, k.d. lang, Diane Schuur, Big Bad Voodoo Daddy, The Crystal Method, De La Soul, Air, Seal, Annie Lennox, Dave Brubeck, Nickel Creek, The Roots, Bunny Wailer & The Skatalites, and many others. 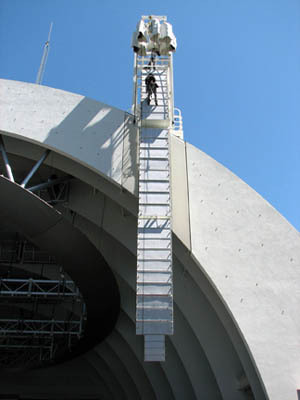 ACOUSTICS products for the North American market are manufactured and distributed by L-ACOUSTICS US of Oxnard, California.